The worst thing I’ve ever read. A friend made me read it along with the rest of the series. It was awful,pain full,truly terable and even wears there were more of them! They were so childish it wasn’t good. They were absolutely aimed for kids and I mean “kids”! The main character was unlikeuble. The plot was odd. And all the things like how all the Ancient Greece “stuff” magically moved to America um. Well over all don’t read it even if some wun tells you too!!!!!!! I love this book. It is so suspenseful. I love every part it is probably my 4th favorite book. the goddess athena’s daughter Annabeth . 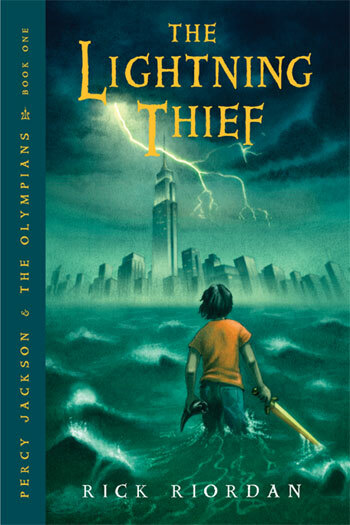 This book is 4th in the series of Percy Jackson. When Percy is at camp he and his friend find a secret underground labyrinth. I liked how when he was in the labyrinth the time goes by super fast. This book is GREAT for 4-12. It is the first book in Percy Jackson and the Olympians. It is about a kid Percy Jackson and he is a half-blood, half-mortal half-god read to find out who his godly parent is. I LOVED this book it kept me on the edge of my seat!!! This book is full of adventure,a little romance (that is ok for little people),and describes how a family of half-bloods,gods,people that can see through the mist,and regular mortals.